Oxford Long Seat Patient Hoist Sling For Amputees. 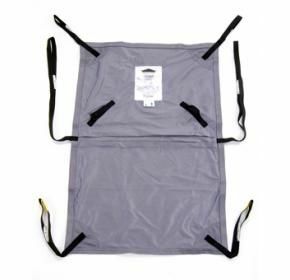 The Long Seat Sling is designed for amputees but is also suitable for other patients who have to remain in the sling for an extended period, such as for bed making or bathing. It is suitable for the lifting amputees, but patients must be individually assessed for suitability by a qualified person. FIM Scores: 1 or 2 following careful assessment.